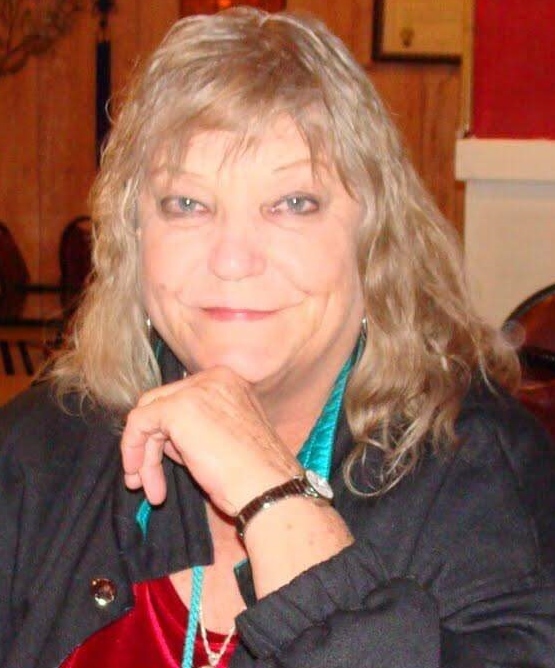 Lola Frances Long Garbett, age 75 of Eureka, Utah passed away January 30, 2019 due to complications from Diabetes. She was born on December 21, 1943 in Payson, Utah. Her dad worked on the railroad for years so they moved around a lot, but Eureka was always home to her. Her favorite place to live when she was little was Lucin, Nevada. Eventually they settled down back in Eureka where she enjoyed going to school and had many friends She married Fred Garbett January 13, 1961. She and Fred had two children, Della Mae and Fred Lynn. Lola touched a lot of people and she loved everyone she knew. She enjoyed camping, fishing, friends, family and fun. She loved her family and they were everything to her. During her lifetime she worked at Rancho El Rae Trailers in Nephi where she was a supervisor and did plumbing and construction and was very good at her job, especially plumbing. She went to work for the Tintic School District where she worked for many years as a custodian. She enjoyed her time there, and she mostly loved the kids. Lola was a Lady Elk and a member of the Ladies Auxiliary for the Eureka Fire Department. Like her husband Fred, she loved being able to look out of the window in any direction and see her beautiful mountains. Lola is survived by her daughter, Della Garbett Estrada; son, Fred (Kathy) Garbett; 7 grandkids and 5 great grandkids; brothers, Evans (Teresa) Long and Arthur (Retha) Long, and sisters, Thelma Thomas, Gail (Brent) Redmond, Rose Long and a sister-in-law Venna Long. She was preceded in death by her loving husband, Fred Garbett, dad, William Glen Long, mom Rachel Long Hannifin, brothers Verl Long, Victor Long, Lynn Leroy Long and sisters Joyce Peery, Mary Jane Frost and Eva Jean Jordan. She was a friend and support to her family and friends and will be missed by all who knew her. Funeral services will be held Tuesday, February 5th at 11:00 am at the Eureka Ward of the Church of Jesus Christ of Latter Day Saints. Viewings will be at Brown Family Mortuary, 66 South 300 East, Santaquin on Monday from 6:00 to 8:00 pm and Tuesday at the church from 9:45 to 10:45 am. She will then be laid to rest with her husband Fred in the Eureka City Cemetery.